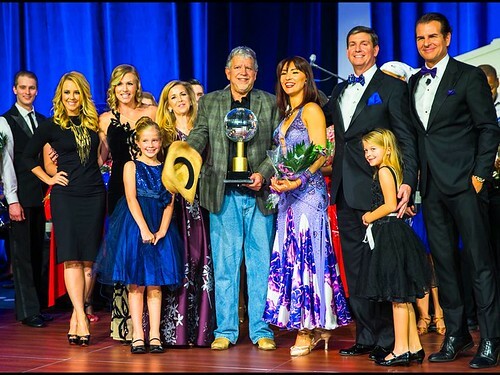 Dr. Matthew Shank accepting the 2015 Mirror Ball Trophy. Photo provided by DC’s Dancing Stars Gala. Prior to DC’s Dancing Stars Gala returning for the second year, we spoke with event founderÂ Maria Coakley David. Shortly after the event, we spoke with Corporate Challenge Contestant MaryJo RobinsonÂ of Booz Allen Hamilton, and now, we bring you a Q&A with grand champion Dr. Matthew Shank, President of Marymount University. Itâ€™s kind of like preparing for a marathon. You donâ€™t know if you are going to be able to finish or do it, and then when you do it, even if you are not in 1st place, itâ€™s still an accomplishment, something that you can look back on. Pamelaâ€™s Punch: Why did you choose to compete in DCâ€™s Dancing Stars Gala? Dr. Matthew Shank:Â Maria Coakley David has been involved with Marymount University and our Board of Trustees, and her and her family have been longtime supporters of Marymount. The opportunity to help out Maria, while also promoting Marymount andÂ raising moneyÂ for the university, were the driving forces. Photo provided by DC’s Dancing Stars Gala. MS: My dance was more of a country style, a combination of Texas Two-Step and some other country dances. Â The style of dance was something that I thought would be different for the competition given that everybodyâ€™s typically doing traditional ballroom style dancing, and so I wanted to do something different and have fun with it. I danced to Brad Paisleyâ€™s â€œWrapped Around,” which was recommended by my dance partner after I gave her a list ofÂ sample songs I thought would be good to dance to. Iâ€™m not a dancer at all, so just overcoming the urge not to do it at all was probably the most challenging. PP: What was the most challenging part of the experience? MS: I had not had any formal lessons before. Iâ€™m not a dancer at all, so just overcoming the urge not to do it at all was probably the most challenging. Once you commit to doing it, once youâ€™re in the midst of it, the most challenging thing is trying to put all the steps together in the form of an actual routine, and trying to memorize the various parts. If we could stop and start throughout itâ€™s not all that challenging once you learn the steps, but trying to remember what goes next, what am I supposed to be doing now, especially in the heat of the moment, thatâ€™s a little more challenging than when you are practicing it. Itâ€™s a fun event thatâ€™s a little bit different from the normal black tie event where you just have dinner and listen to somebody speak. Itâ€™s a great event that weâ€™ll continue to support. MS: In this case, I was actually able to raise quite a bit of money for Marymount and itâ€™s very rewarding to be able to provide that money to students who have financial need, which is what the money will be used for. Getting through it, and accomplishing it, much less actually winning, was also very rewarding. PP: Describe your experience in three words. PP: What has been your greatest dancing memory? MS: This one I donâ€™t have a good answer too (laughs). After the competition they opened up the dance floor to everyone,Â and people were coming up, asking if I wanted to dance. I said no, I donâ€™t really dance, even though I just did it. 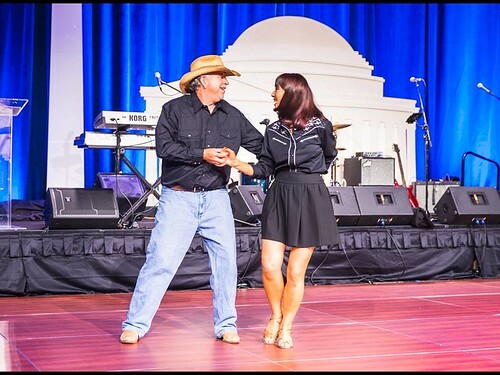 The Texas Two-StepÂ was the extent of my dancing (laughs). PP: What do you find most enjoyable about dancing in general? MS: Itâ€™s almost relaxing, in that you take your mind off of things. Youâ€™re focused on trying to learn the dancing, so itâ€™s a nice diversion, nice entertainment, and it’ enjoyable. PP: Were you surprised that you won? MS: Half of it is based on money raised, and so I knew I had a pretty considerable lead on that end, but I wasnâ€™t sure what was going to happen with the actual dancing challenge, and so I think I did well enough to win given all the money I had raised. Pleasantly surprised.